One of the most compelling features of BESX has been kicked to the curb for Verizon users. When Research In Motion released BESX, they clearly made note of the fact BES data plans would not be needed. I'm guessing Verizon skipped over that memo as it's now been confirmed that Verizon is going after the cash grab and forcing users to upgrade their BIS plans to a BES plan in order to use BESX. It all seems pretty shady on Verizons part if you ask me. You can read the full memo sent out to tech support reps after the jump. On March 1, 2010, RIM will launch BES Express (BESX), an entry-level version of BES. As with all Corporate email solutions, customers will need a corporate email data plan or feature added to a voice plan to allow access to BESX. Note: Customers on the Email and Web for BlackBerry $29.99 data feature MAY NOT utilize BESX. Overview: BESX replaces BlackBerry Professional Software (BPS) in RIM's product lineup and allows businesses using Microsoft® Exchange or Microsoft Small Business Server to support up to 75 BlackBerry subscribers without having to purchase Client Access Licenses (CAL) or a dedicated server. Additional users can be supported if BESX is installed on a dedicated server. With the launch of BESX, RIM will discontinue the sale of BPS. 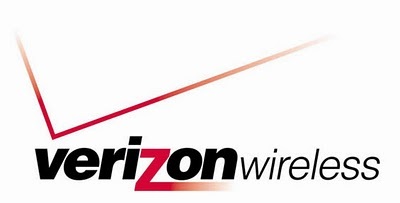 Verizon Wireless will sell through our remaining BPS inventory and RIM will continue to support this solution for the foreseeable future. BESX will be available directly from the RIM website. Customers should be directed there for additional product information. BESX will not be available directly from Verizon Wireless. Reference: Information about current pricing options is available in the Verizon Wireless Small Business Guide or on vzw.com.